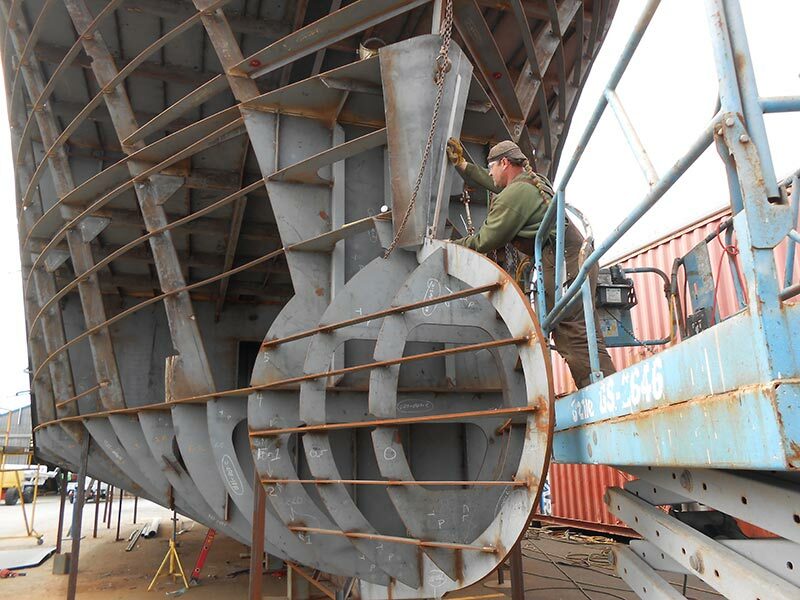 When it comes to Commercial Fishing Vessel Repair, Giddings Boat Works has a team of experienced machinists, fabricators, welders and fitters that have the knowledge and skills required for repairing all types of commercial vessels right here in our own shipyard based in Charleston Oregon. We can customize the steel pieces you may need to repair your boat from damage, collisions, steel renewal or replacement and get you and your crew back out on the water in a timely manner. Giddings Boat Works has been around for a long time and has become a trusted name by owners, captains and crews for our expertise, affordability, and integrity all along the Pacific West Coast from California to Alaska. With over 300-miles of Oregon coastline our facility in Charleston plays a vital role in providing a full range of services for commercial fishing boats to complete retrofits, maintenance work and repairs in very well protected harbor. Giddings Boat Works is a family-run business and we like to treat our customers like their part of the family as well, always making sure to provide good communication through out any project we take on, which is vital for customer satisfaction. When you find your Fishing Vessel is in need of repair then give the team at Giddings Boat Works a call at 541-888-4712 or Contact Us via email and let us know how we can help you.